Energomashspetsstal carried out the next delivery of parts to ArcelorMittal metallurgical works. 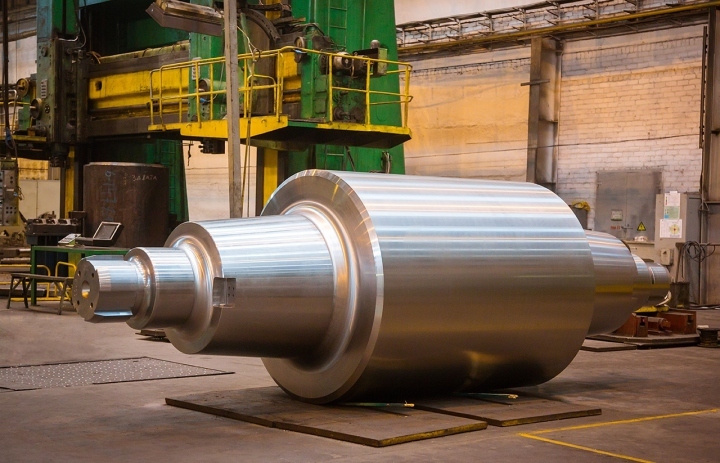 For Kazakhstan metallurgical combine ArcelorMittal Temirtau PJSC “EMSS” manufactured and shipped 8 supporting rolls with a total weight of 239,850 t. The rolls are intended for the hot rolling mill “1700”, as well as cold rolling mills “1400” and “1700”. Another two support rolls with a total weight of 49.09 t were sent to the city Liège to the Belgian metallurgical combine AM Liege. The European company ArcelorMittal Belval & Differdange were supplied four roll axis. The total weight of the delivery is 32.08 t.
ArcelorMittal is the world leader in the production of steel and rolled products and holds leading positions in the major metallurgical markets of the world, including such industries as automotive, construction, home appliances and packaging. ArcelorMittal is one of the key customers of EMSS, the partnership between enterprises continues from 2011.